Florals aren’t just for reception tables and altar trellises. 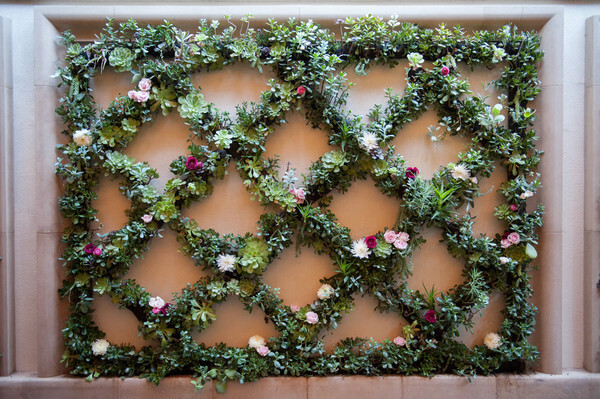 One of the biggest trends Kim is predicting is seeing greenery as a backdrop for photo booths. 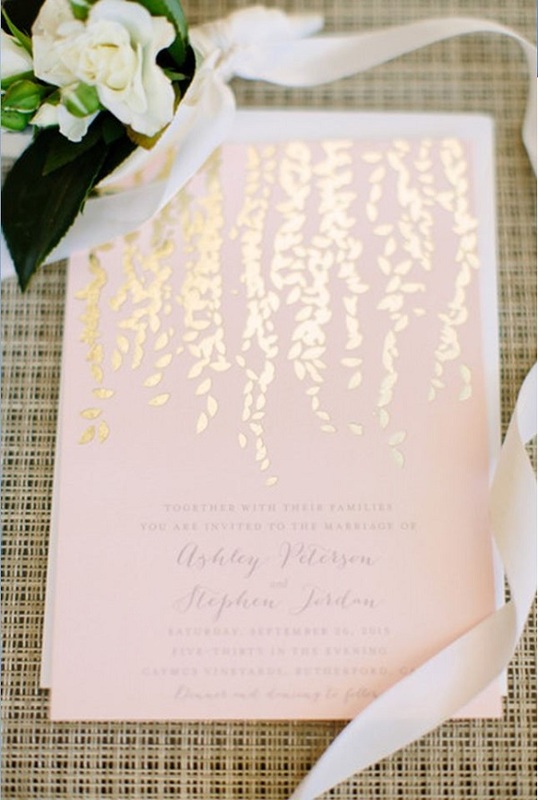 The metallic look is elegant, fun, and oh-so-spectacular for wedding stationery. With gold, silver, and copper as popular accents to many color palettes, it’s only natural that brides are incorporating metallics into their stationery as well. The gentlemen are looking outside the box for their wedding fashions more than ever. Shades of cobalt, burgundy, and plum are expected to be some of the popular colors for menswear this year. For more predictions on this year’s trends, check out Kim’s full post on What’s Hot for 2016: Top Wedding Trends on the Weddingwire Blog! We had a great year in 2015 with @Hello, and we’re looking forward to helping more brides and grooms create beautiful, custom stationery at affordable prices!